Come and meet our friendly and knowledgeable team at Bingham House in Dyer Street. The Local Information Centre has a wide range of information on places to visit, events, Town Council projects and services, community groups and volunteering. 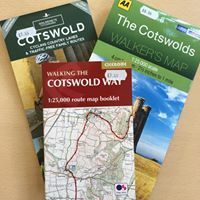 Our Information Centre also sells a range of items including: Cirencester souvenirs; local books; walks and maps; greetings cards by Cirencester based artists; and local produce including Siddington Mill honey. The team is your first point of contact if you have a query, issue or problem relating to the services we provide. The Information Centre is a great place to see what’s on in Cirencester. You can pick up our events leaflet that tells you about the activities and events happening over the coming month. You can also bring in information for our poster displays and let us know about local community events and activities that we can help you publicise. We can take up to 12 A4 posters for our noticeboards around town (space allowing), and add details of your event to the what’s on section of this website. Our team will be pleased to assist with any queries you may have between the hours of 9.00 a.m. and 4.30 p.m. Monday to Friday. Or you can contact us by email. Who do I speak to with regard to Housing and Council Tax Benefits? There is a street light not working, who do I contact? Who do I speak to regarding a proposed extension to my house? I would like a stall on the Farmer's Market and /or Charter Market in Cirencester. Who Do I speak to? The regular markets are managed by Cotswold Markets Ltd on behalf of the Town Council. There is currently some limited availability for both Charter and Farmers markets. Applications for a market stall should be made via Cotswold Markets Ltd. For all new trader enquiries please contact Dave Joynes, Managing Director on 01608 652662 or via email at trade.cotswoldmarkets@gmail.com. I would like to register the birth of my son/daughter. Who do I contact? My mother recently passed away and I need to register her death. Who do I contact? I need at copy of my marriage certificate. Who do I contact? I would like to put my name on the Housing list for Cirencester. Who do I contact? I am planning a visit to Cirencester in the summer and would like accommodation. Who do I contact? I would like to report a pothole near my house. Who do I contact? A10. Contact Amey Gloucestershire highways, T: 08000 514 514 or report the fault online at: www.gloucestershire.gov.uk, under Report It. I am disabled and need to renew my blue badge. Who do I contact? I would like to know what day my dustbin is collected. Who do I contact? Who do I contact about events at the Corn Hall? I would like to volunteer in the Cirencester area - Who do I contact? How can I book a street banner in the Town and display posters about local events? How do I find financial information related to Cirencester Town Council? How do I report litter, fly-tipping, graffiti or dog fouling ? For all other areas please report it to Cotswold District Council via this link.